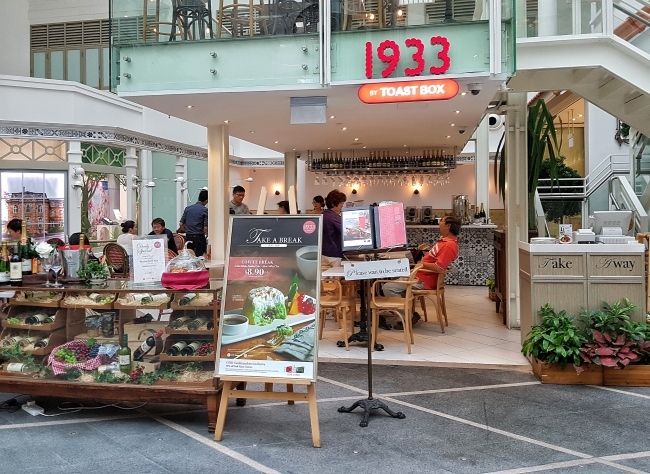 1933 by Toast Box ~ A new cafe by Toast Box. It brings you back to the 1930s in Singapore. Interesting Cafe Concept. Wonder why the year 1933. 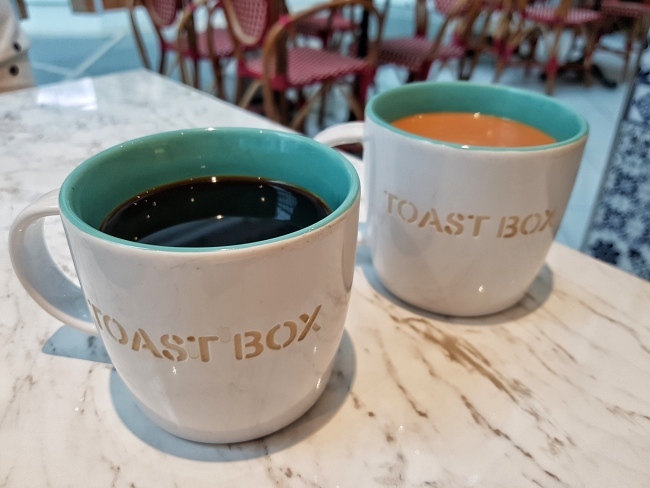 It is different from the usual Toast Box where it is self-service. The menu is also different. Of course, they still offer the usual delights - Singapore Kopi and Teh. Located at Capitol Piazza. Lovely revamped Mall. Good thing to know is you get to enjoy free parking during lunch time from 12pm – 2pm daily! A great place to go for lunch. Capitol Piazza. 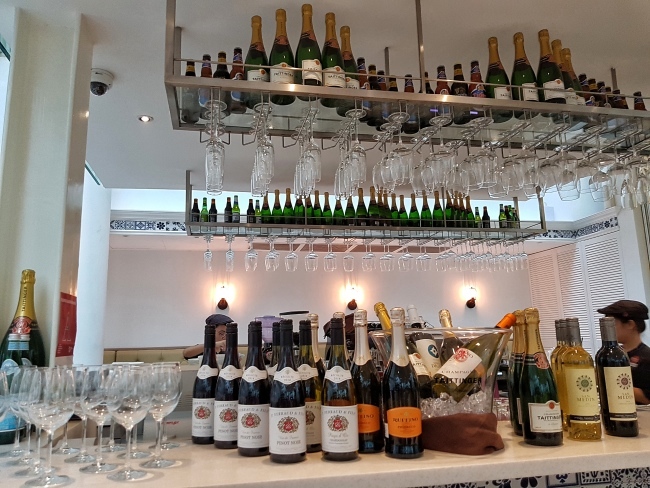 The cafe has 2 levels. Didn't explore the 2nd level cafe. Sleek Clean Ambience. Marry the modern and old singapore across the time. Glad that they weren't very crowded as we were there for early lunch. Slowly the crowd come in during the lunch time. They also have a bar counter. Think will be a nice chill place for drinks after dinner too. Different from the usual Toast Box where it is self-service concept. 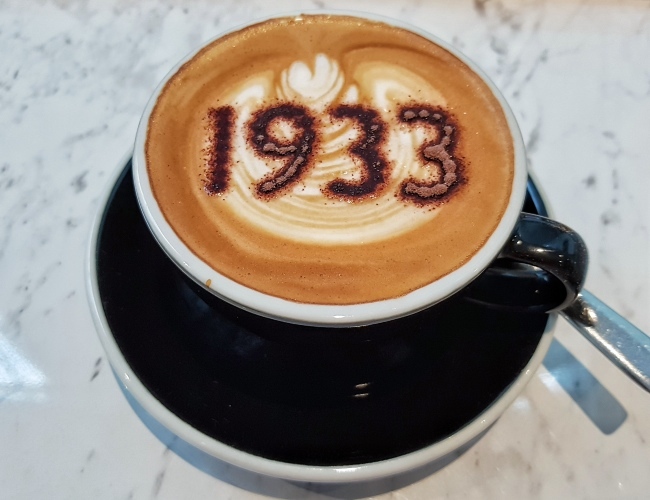 1933 actually served you at your table. Of course, they also charge service fee. However, if you feel like pampering yourself, jus pay for the service and chill. The menu is also different from the usual Toast Box. Usual delights like the Singapore style Kopi and Teh are still available. The executive lunch set come with 1 soup and 1 main (Nanyang Curry Chicken/ Laksa Pasta/ Hainanese Chicken Rice/ Fish and Chips). You can top-up $3 for Lemonade Berry Bliss/ Strawberry Sunrise. I feel that they should allow top-up for other beverage options too instead of we have to pay full price for other options. 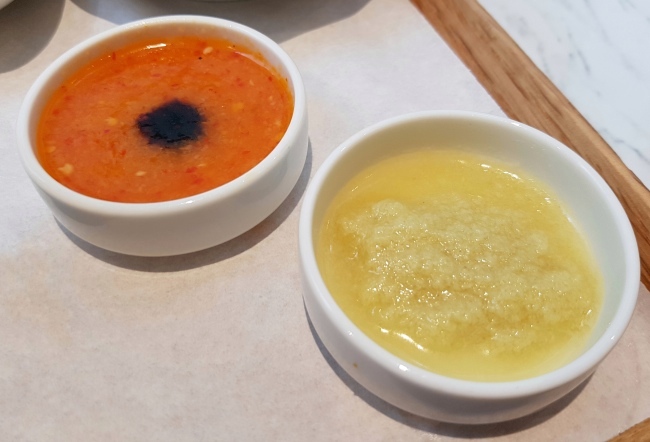 We chose soup. It was Mushroom Soup. 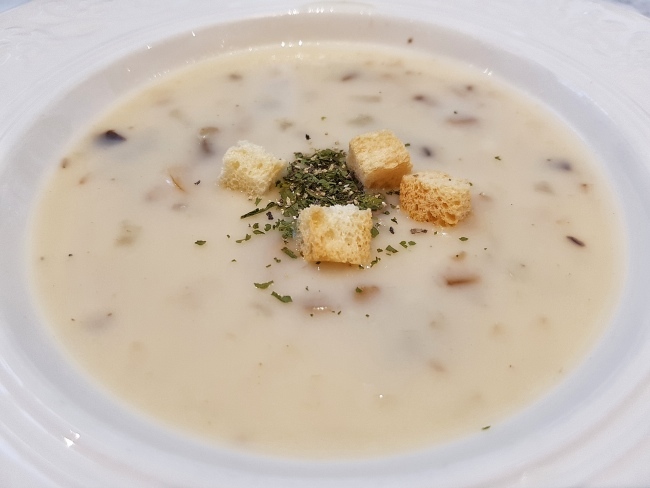 Simple Mushroom Soup with bits of Mushrooms and Croutons (Bread Toppings). You get to choose lean cuts of meat (chicken/ pork/ mutton). 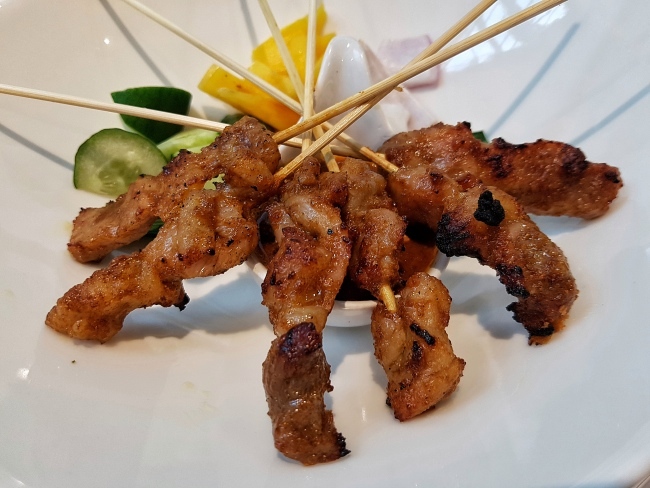 They were charcoal grilled and served with Hainanese-style peanut sauce and slices of pineapple, cucumber and onions. We chose the pork version. Like it that they really offer lean cuts. I didn't like those satay that they put in a lot of fats that I am just eating fats and not much meat at all. Though it does seem a bit pricy for $1.50 for 1 stick of satay. The executive lunch set come with 1 soup and 1 main (Nanyang Curry Chicken/ Laksa Pasta/ Hainanese Chicken Rice/ Fish and Chips). 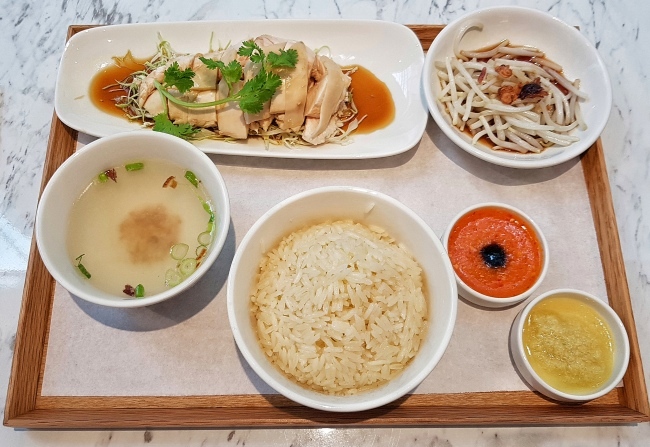 We chose the Hainanese Chicken Rice. 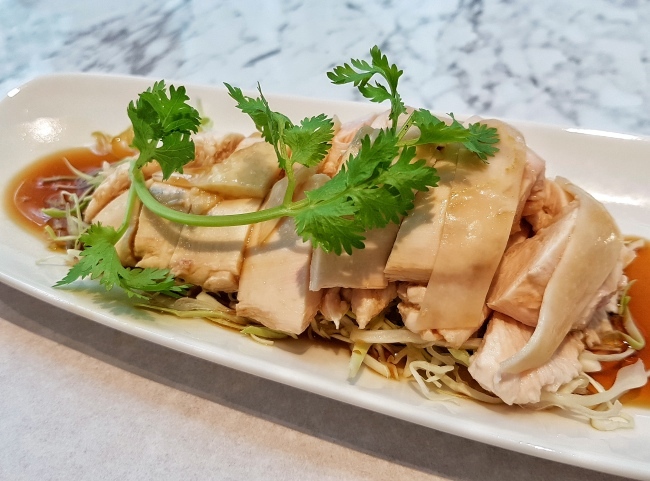 It comes with a good portion of fresh and succulent chicken with tasty fragrant chicken rice. 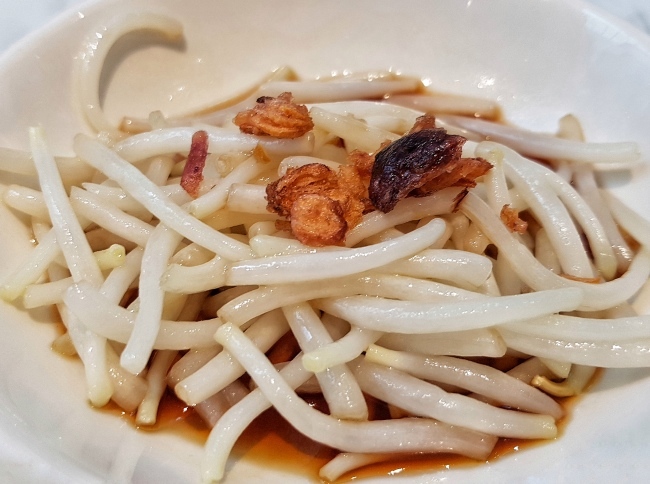 There is a also a small side of bean sprouts. Like the ginger and chilli sauce that goes with it. The executive lunch set come with 1 soup and 1 main (Nanyang Curry Chicken/ Laksa Pasta/ Hainanese Chicken Rice/ Fish and Chips). 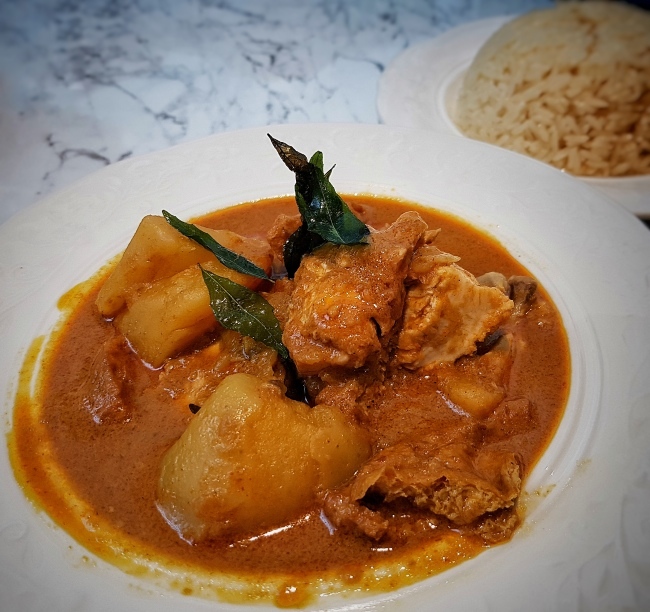 We chose the Nanyang Curry Chicken. Much to our delight, they serve their chicken rice with the Nanyang Curry Chicken. Not the usual plain white rice. Unique combination. They complement well each other. The curry chicken was also tender and the potato is not too hard. You can also opt for bread to go with the curry chicken if you don't fancy rice. 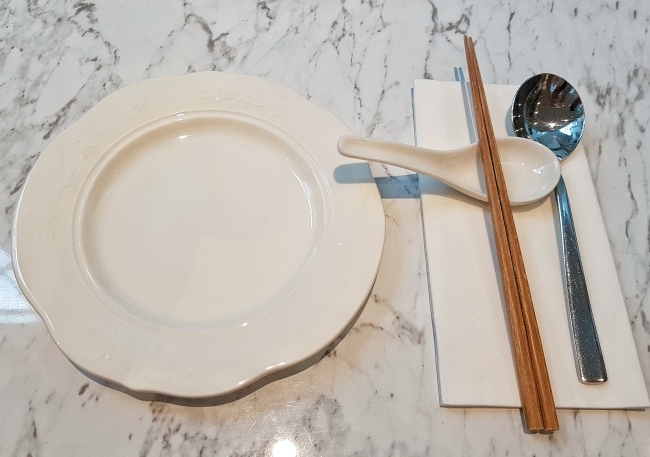 However, if you don't like chicken rice, you may want to check whether they have white rice. Drinks - We ordered the usual delights of Kopi O and Teh with the Pretty 1933 Cappuccino. 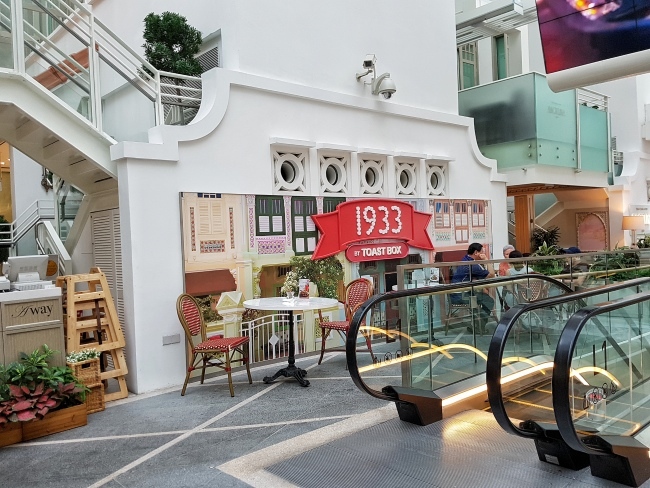 1933 by Toast Box ~ Located at Capitol Piazza. It is very accessible. Located near to City Hall MRT and there is also an underpass all the way to Capitol Piazza. You get to enjoy free parking during lunch time from 12pm – 2pm daily! It is quite spacious. Great for friends gathering and family with Kids too. 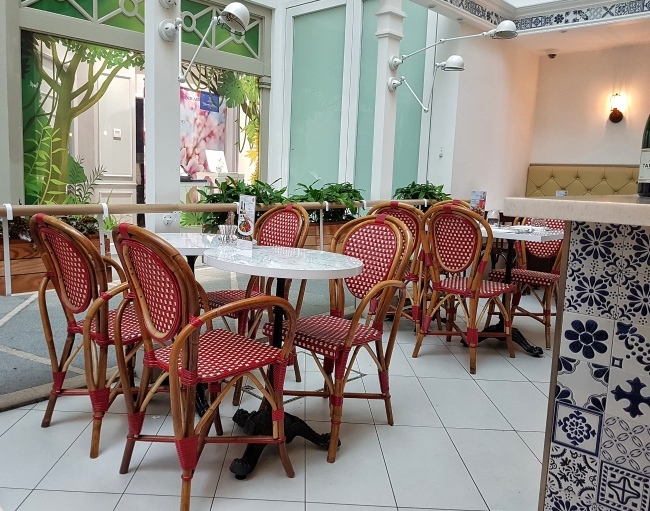 I think it also great for tourist or the office warriors in the area to chill while they enjoy the local Singapore Delights. Enjoyed the Nanyang Curry Chicken with tasty fragrant Chicken Rice. Unique Delightful combination.